NORTH AMERICAN F-100C "Super Sabre"
The F-100 was the USAF's first operational aircraft capable of flying faster than the speed of sound (760 mph) in level flight. 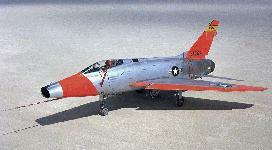 The F-100 is best remembered for the years it spent on the United States Air Force Thunderbirds aerial demonstration team. 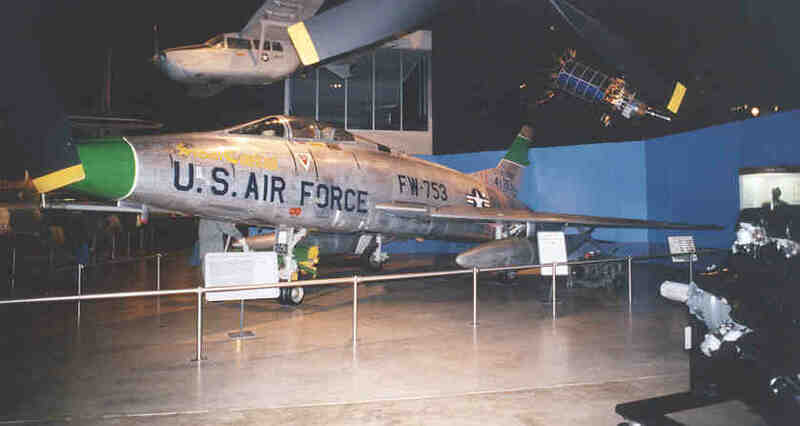 The F-100 began life as a company funded project to improve on the basic F-86 Sabre design. The program didn't attract military interest until the F-86 was pitted against the Russian MiG-15 in the skies over Korea. 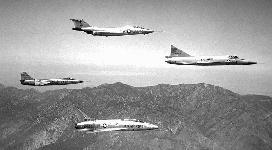 Early Korean War experience made it evident that the Communist Bloc had brought themselves close to their western enemies in fighter design. 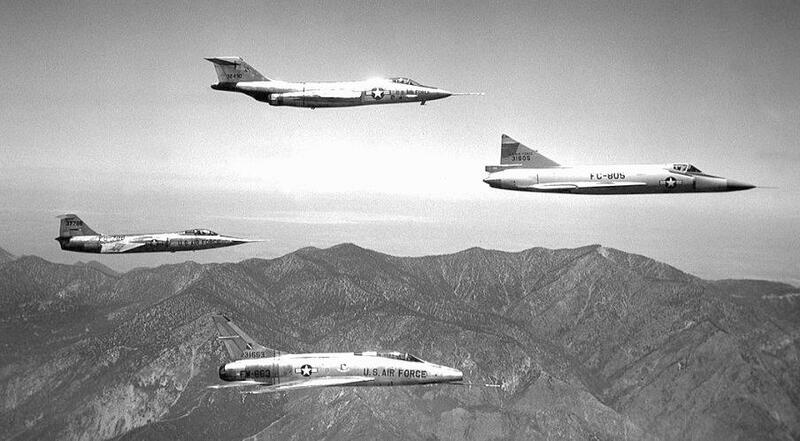 The U.S. Air Force, not content with this, awarded North American Aviation a contract to produce two YF-100A prototypes and an F-100A production version in Nov. 1951. 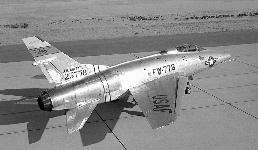 Thus was born the first of the century series fighters. 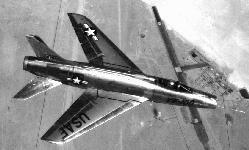 It made its initial flight on May 25, 1953, and the first production aircraft was completed in October 1953. 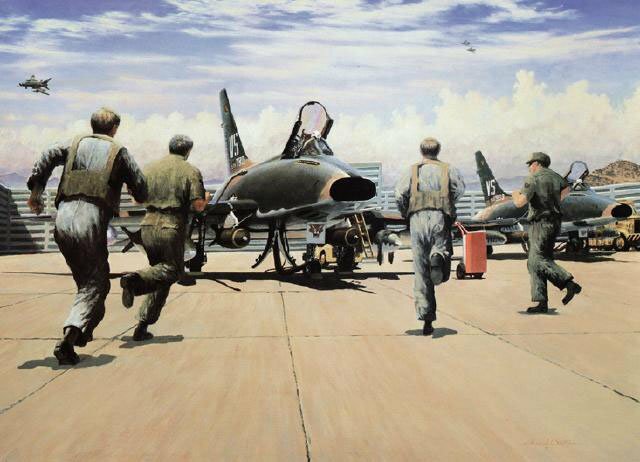 The Super Sabre became the first fighter to attain level flight supersonic speed, doing so during its maiden flight Oct. 29, 1953. 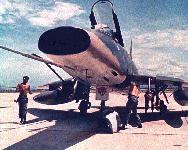 The F-100 became operational in Sept. 1954. North American built 2,294 F-100s before production ended in 1959. Designed originally to destroy enemy aircraft in aerial combat, the F-100 later became a fighter-bomber. 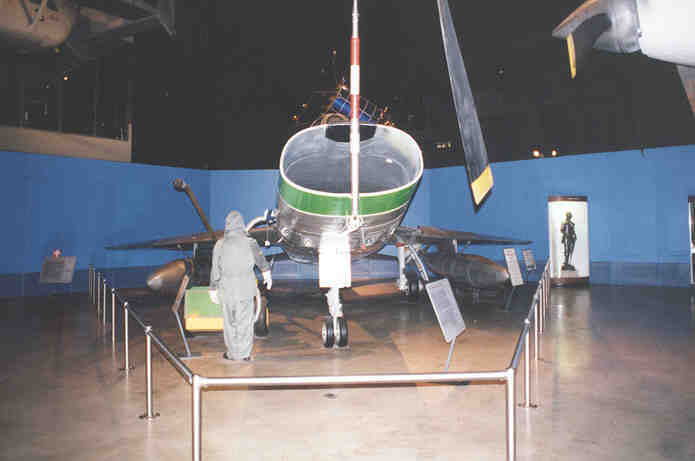 It made its combat debut during the Vietnam conflict where it was assigned the task of attacking such targets as bridges, river barges, road junctions, and cantonment areas. 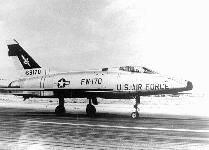 The F-100 had originally been designed as an air superiority fighter, but the "A" model was the only pure air superiority version. The "B" model was an all weather fighter. 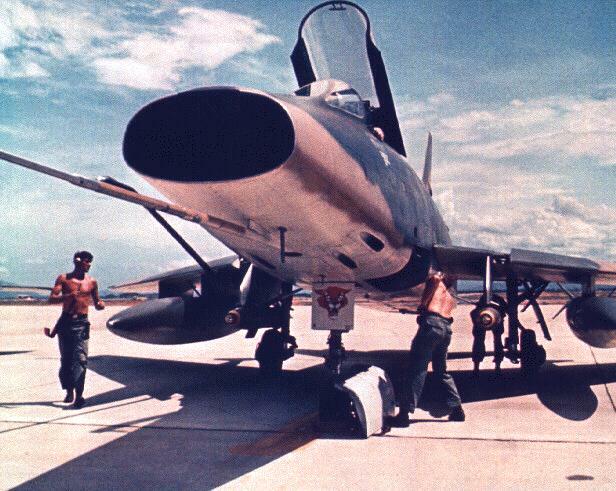 As the Air Force began to realize the F-84 fighter-bomber fleets were showing signs of age, the logical choice was to modify the F-100. Thus was born the F-100C. The F-100C which made its first flight in 1955, featured such advances as an in-flight refueling system, provisions for extra fuel drop tanks and bombs under the wings and an improved electronic bombing system. The "D" model was the definitive version with 1,274 examples eventually produced. 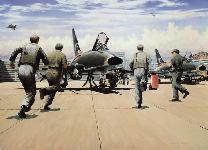 It had improvements in both aerodynamics and weapons delivery, capable of carrying nuclear weapons.